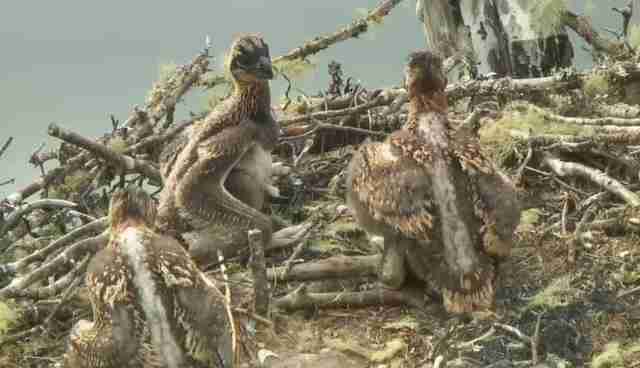 Audubon and explore.org's bird cams are back in full swing! 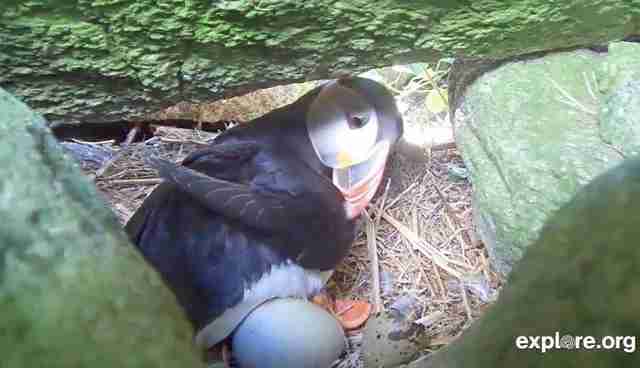 The osprey chicks are growing, the puffins are loafing and one puffin family found a surprise in their burrow. 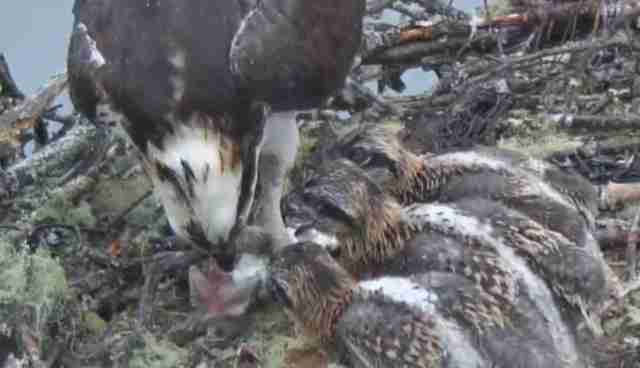 CajunLady spotted three osprey chicks in a row anxiously awaiting dinnertime. Diane R took this picture of the chicks, who are growing quickly! 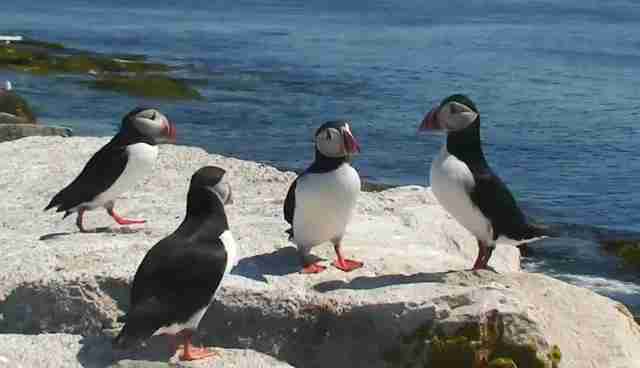 Riverrock snapped the puffins enjoying the sun together. No, you're not seeing double! This shell is actually from a local tern. Adult terns carry away the empty egg shells because the inside is white and it might attract a predator to the otherwise cryptically colored chick. This one just happened to tumble into the puffin's burrow, where Samantha Eye captured this moment. Head over to explore.org to capture your favorite moments with our snapshot button!